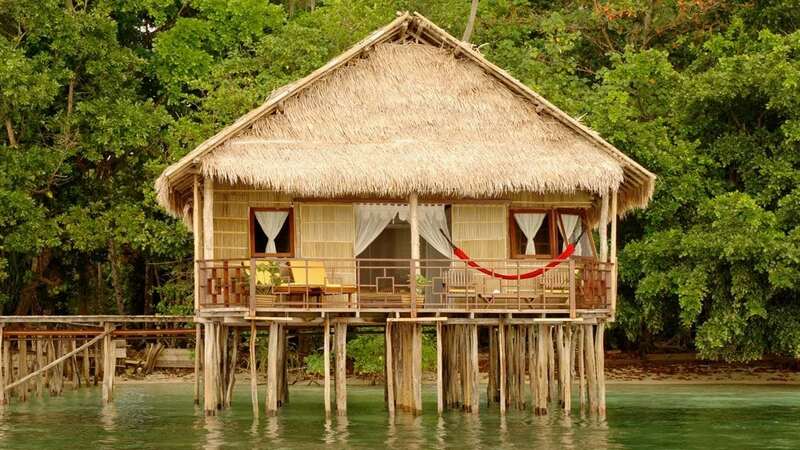 Papua Paradise Eco Resort is located in Raja Ampat, on the jungle-covered island of Birie. Surrounded beautiful white sandy beaches and unspoiled flora with an extensive and pristine house reef and the signature dives of central Raja Ampat on the doorstep, all accessible via the Gangga Dives on-site dive centre. 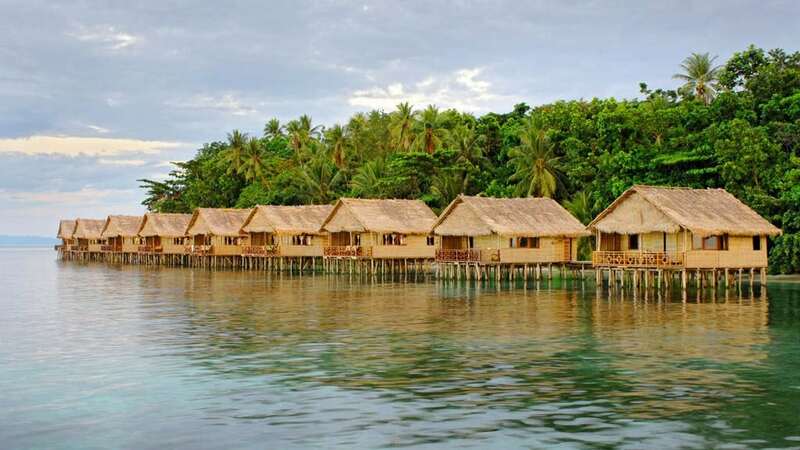 The owners of Papua Paradise Eco Resort have a great focus on supporting the conservation of Raja Ampat’s spectacular underwater and rainforest environments, while also helping and creating real benefits for the local communities. Each (85m2) Deluxe Bungalow has its own spacious veranda and sundeck with sunbeds, on which guests can enjoy the slight breeze and the sunset. The Superior Bungalows are slightly smaller (70m2) in size, and all bungalows are traditionally decorated with solid wood furniture, maintaining the local style and atmosphere. Deluxe Bungalows feature a king size bed, a special snug corner for reading or relaxing, a semi-opened bathroom with hot and cold fresh water shower, large dressing space with wardrobe, mini-bar and ceiling fan. 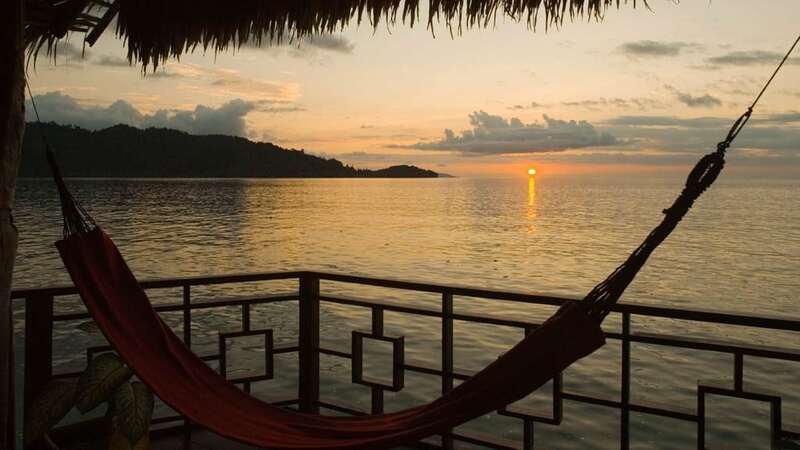 Superior Bungalows have a queen size bed, pedestal fan, private en suite bathroom with hot and cold water shower and a large sunset veranda with sun beds and hammock. 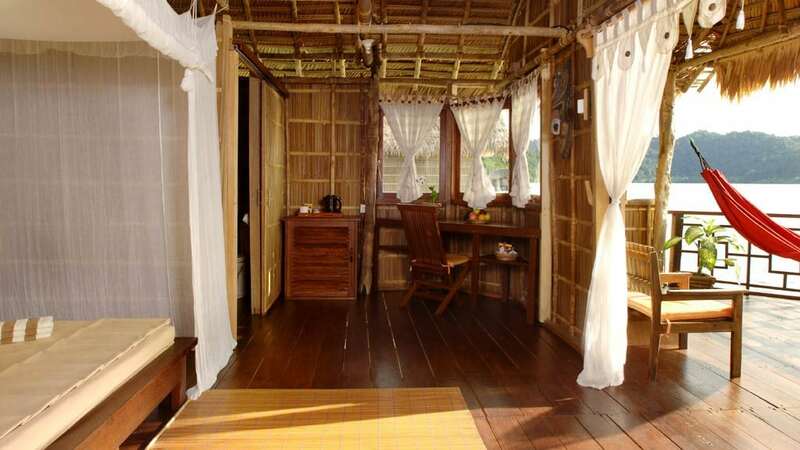 All bungalows feature an ocean view desk, safety deposit box, cupboard, wardrobe and mosquito net. Each bungalow has 24 hour electricity (220V, CEE European plugs). Air-conditioning is naturally done by the slight ocean breeze. Please note that there is no direct access to the sea from the bungalows; the safest way to get into the water would be from the ends of the two main jetties at the front and back of the resort. 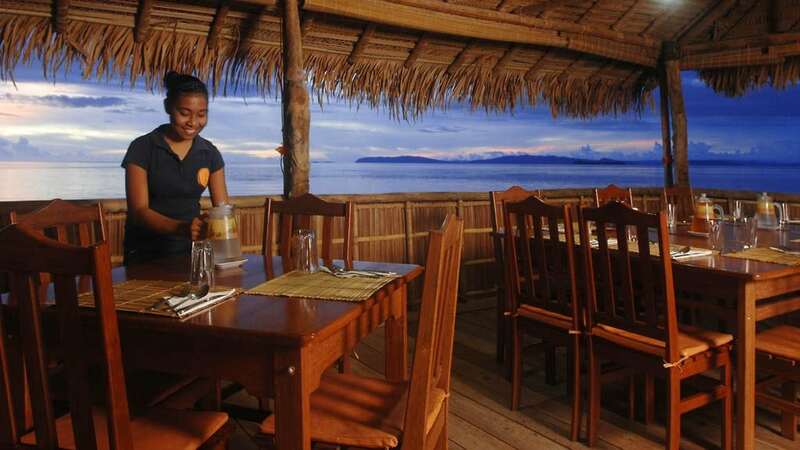 The recently refurbished ocean view restaurant is a perfect place to try delicious Indonesian and International dishes prepared daily by local staff using fresh local produce & ingredients (fresh water spinach, juicy mango, sweet banana, very hot chili and fish) bought mostly from the nearby village or collected from the little garden of the resort or purchased in Sorong. Specialty items like yogurt, bread and cakes, as well as pasta are all homemade and served fresh. Meals are buffet-style. Only local beer is available on the island. Besides diving and relaxing, the nearby islands and wild jungle forests present opportunities for other activities as well. 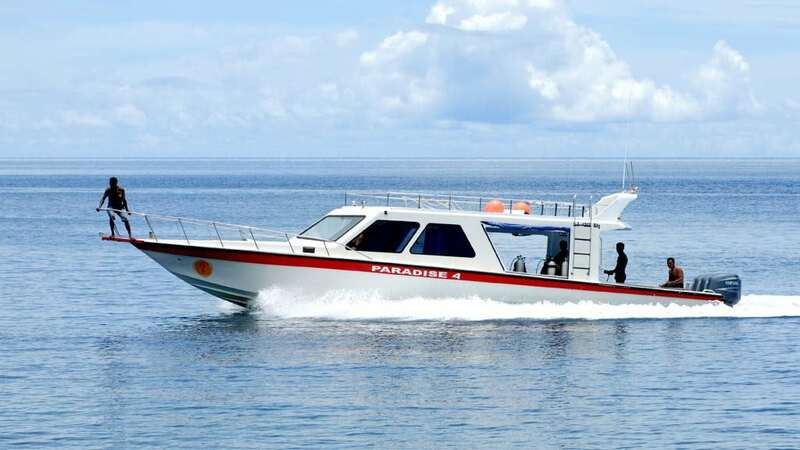 Boat trips can be organized locally to the stunning mushroom islands, bat cave, traditional cemetery; and the visit to the most beautiful birds in paradise or the breathtaking climb up a 60m high waterfall should not be missed. Kayaking is available at the resort; the first hour is complimentary, with additional use chargeable at EUR 15.00 per hour per kayak. The resort has a small boutique. 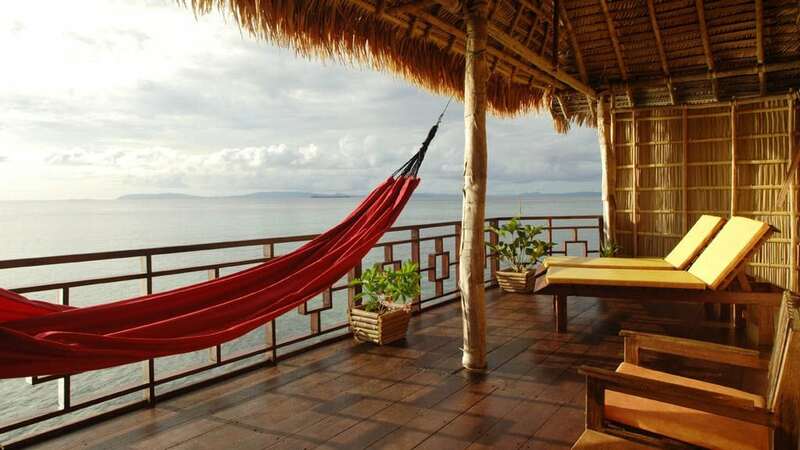 Papua Paradise Eco Resort is located in Raja Ampat, on the jungle-covered island of Birie. 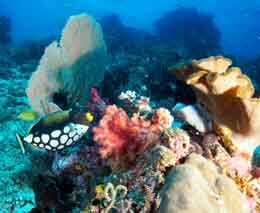 It is surrounded with pristine reefs, unspoiled flora and beautiful white sandy beaches. 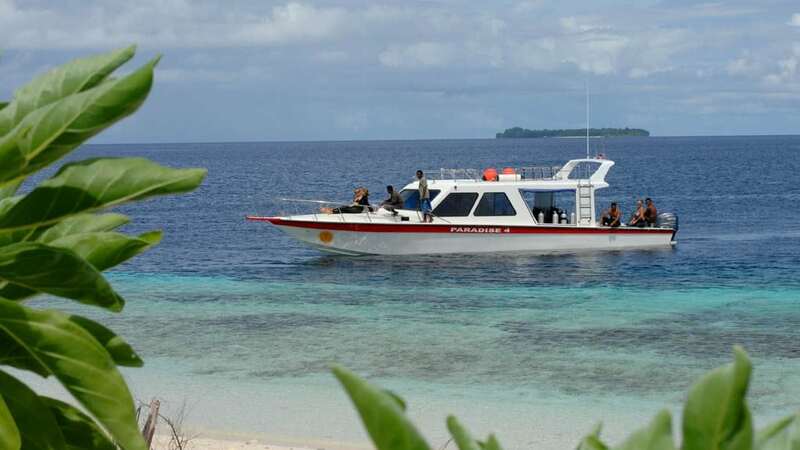 Transfers from Sorong to the resort are scheduled daily at 2pm. Staff will meet guests at Sorong airport and accompany guests to the harbour for transfer on the resort’s private speedboat. If guests arrive earlier in Sorong, they will be taken to a hotel lobby where they can refresh, have breakfast and wait comfortably until the boat departure. Transfer from the resort to Sorong is scheduled once daily between 6am and 9am, according to the first guests’ departure flight from Sorong. Guests departure flights must be booked for after 10am for the same day transfer. The boat transfer takes up to 2 hours one way, depending on weather and sea conditions. Gangga Divers is a PADI diving centre built in front of the resort’s restaurant with its own wharf; all boat dives start from here, and the house reef is just one big step away. Diving is great year round, with manta season being between November and April and the visibility being outside of manta season. The resort packages offer unlimited dives. There are 4 opportunities to dive per day, two in the morning starting 7.45am/8.00am, one in the afternoon at 2.30pm, and one in the evening/or night (dusk dive or night dive). There is a ratio of4 divers max per guide. There are 10 speedboats designed and built for safe and comfortable diving. 8, 12 and 15 litre aluminium tanks with INT and DIN valves are available. Free Nitrox (32%) is available for Nitrox certified divers. Guests can rent new and well-maintained dive equipment from Aqualung. Selected dive and specialty courses are available. The well-equipped dive centre comes complete with a library with a choice of marine identification books, an air-conditioned camera room with workstations, washing sink and drying facilities. All boats are equipped with safety equipment such as VHF marine radios, GPS, life jackets, first aid kit, DAN First-Aid Oxygen kits as well as drinking water and sun cover. Towels & padded camera crates are provided on all dive trips, and hot drinks and snacks are included in all morning dive trips. 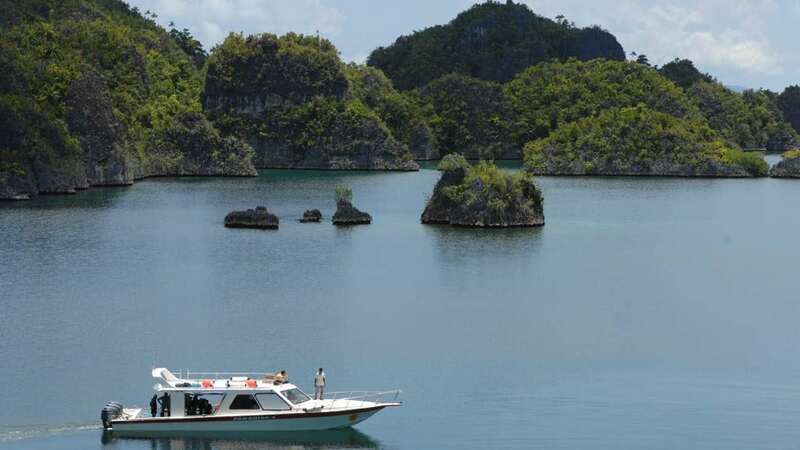 Located in the heart of Raja Ampat on one side of the Dampier Strait where all the magic happens, Papua Paradise provides some of the best diving excursions in the area in order to satisfy even the most demanding divers. With more than 50 dive sites in a 12km (7.5mi) radius and another additional 50 dive sites nearby, you can be assured that your experience here will never be forgotten. 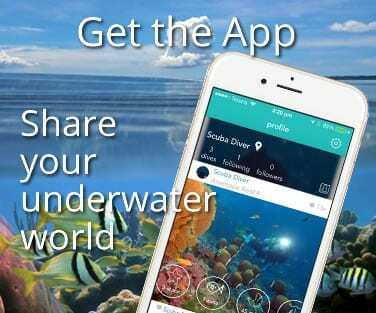 Imagine a place where on most dives you are the only group entering the water. All dive sites have a water temperature between 27°C-29°C all year round. The dives visited include Mike’s Point, a 40m+ deep wall, where you can find some of the best fish life in Dampier Strait; Sardine Reef, judged as one of the most beautiful reefs worldwide, home to big schools of fish, jack fish of all sizes, tuna, grey sharks and black and white fin sharks; The Limit, Kapasbow, Wai Wall, Fish Heaven and P. Dua Express. 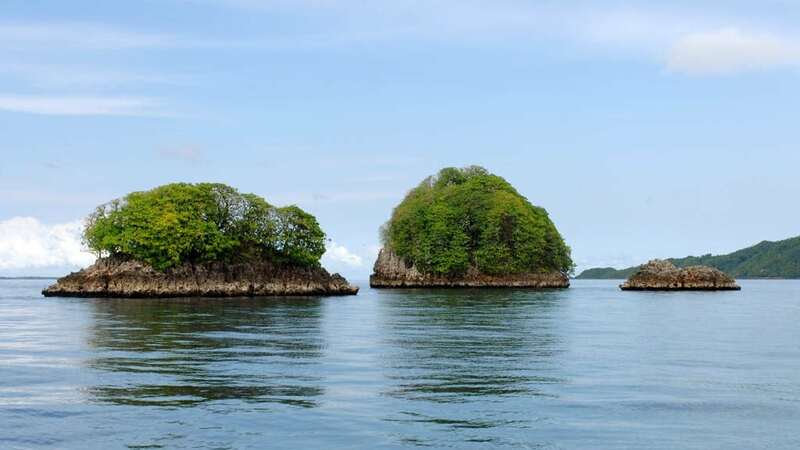 The Passage (which attracts a surcharge) is a winding waterway that separates Gam from Waigeo Island and is home to an incredible diversity of macro marine life. Its strong currents rushing through the slim corridor framed by limestone cliffs nourish a plethora of soft corals and large sea fans in vibrant colours. 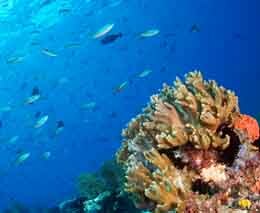 The 150m (500ft) long stretch of house reef alone, is a reason to visit Papua Paradise Eco Resort. 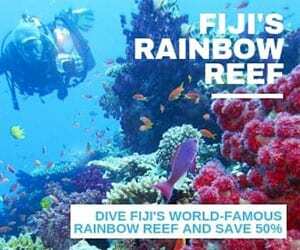 Diving or snorkelling, guests can observe schools of different reef fish, baby black tip reef sharks, turtles, wobbegongs, blue spotted rays, colourful parrotfish, common and pygmy seahorses and in the evening, mandarin fish. Extremely lucky guests might meet dugongs which make very occasional appearances. The resort accepts cash IDR, USD and Euro to pay for extras, bar bill, incidentals, as well as credit card, MC or VISA. Please note that a 3% bank surcharge will be added to your credit card bill. 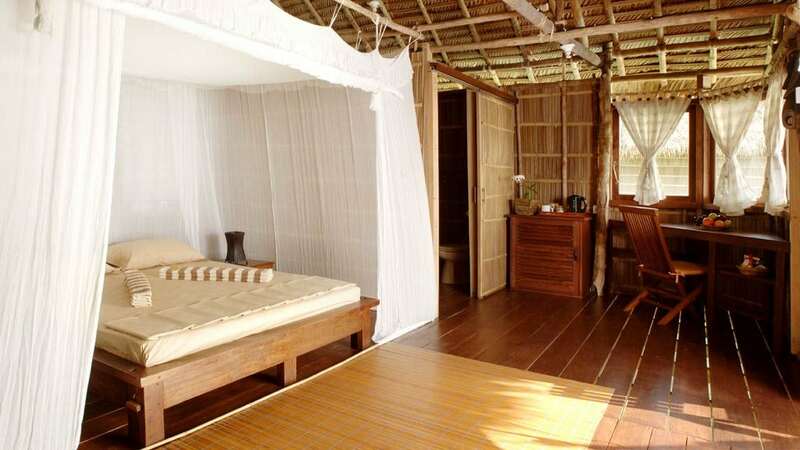 A simple resort with clean and comfortable superior over-water bungalows, with the newly built deluxe over-water bungalows being very popular amongst divers from around the world. 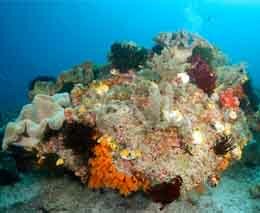 All up, an excellent diving and nature experience.